The Homenenetmen San Francisco Scouts operate under charter from the Homenetmen Westerm Regional Scout Committee (RSC) and the Pacific Skyline Council Troop 104. The Scouts meet bi-monthly with ashkhadank (meetings) primarily in our Homenetmen Agoump adjacent the Gym. A regular ashkhadank consists of Opening/Closing Ceremony, Educational Seminar, Craft or Project, and Lunch Break. The Scouts are supervised by the Executive Scouting Rep. whose responsibility it is to oversee the Scouting Program and mentor the Leadership Corps..
For Boys and Girls aged 6 -10, the Kayleeg/Ardzvig packs begin their educational program with the "Gagoogh Tateeg" booklet - fundamentals of Scouting, and work through the Yerg Askh (2nd) and Measkh (1st) program. Upon completion, the new scouts take the Yertoum (Oath of Homenentmen Scouts) ceremony and earn their poghgab (neckerchief), as well as badges of completion of their programs. For older scouts aged 11-18, the Ari/Arenoush packs continue their educational program with the Norendza and PenGark books. They learn Armenian History, History of Homenetmen and Scouting, Leadership and Camping Skills. They participate in the RSC Leadership Seminars in Los Angeles, as well as qualify for participation in the Homenetmen World Jamboree in Armenia. The Leadership Corps of young adults 18+ has risen through the ranks of Scouting to earn the priviledge of educating packs of their own. The highest member of the Leadership Corps is the Scout Master, with successive ranks based on the number of Garks completed. Scouting has always been a fundamental part of Homenetmen. 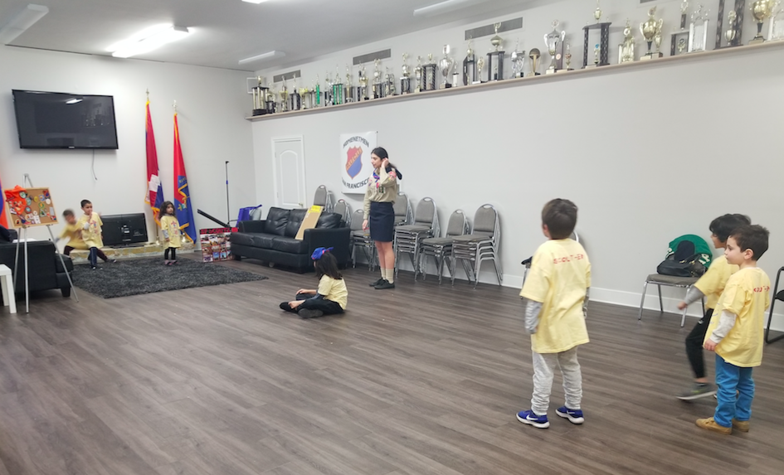 With rich traditions of Patriotism, Civic Duty, Responsibility and Leadership, our Homenetmen Scouts move on to become vital members of our Armenian Community and the world at large. We invite you to have your child take part in scouting - building skills and relationships through educationals, camping, community service and fun events. 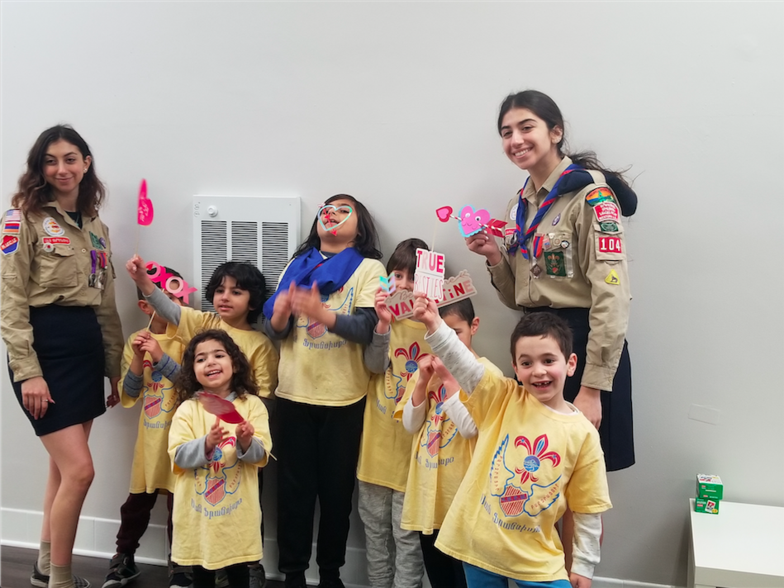 Last Sunday, February 10th, our Kayleeg/Ardzveeg Scouts had an amazing day of learning and playing with their leaders K. Galia Der Abrahamian and K. Karoleene Amanian. They learned about BSA, various scouting guidelines and listened to presentations from their Gagoogh Tateeg handbook. 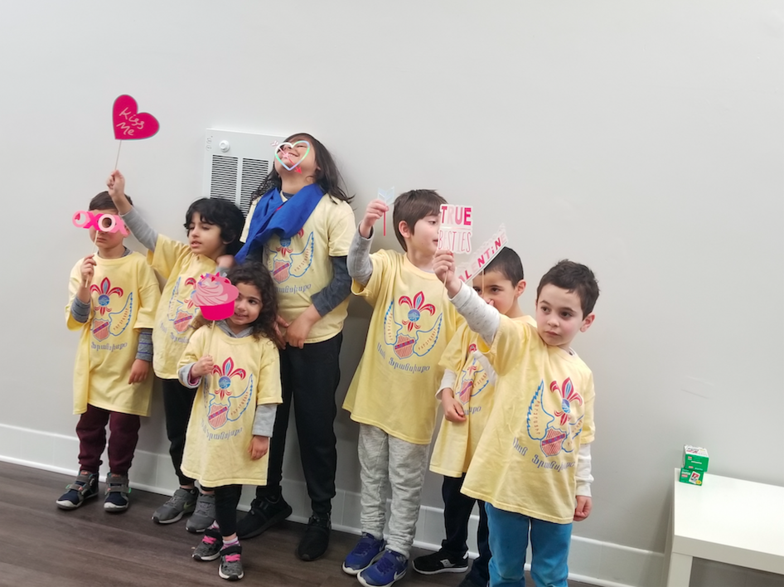 They ended their day with beautiful Valentine’s Day themed arts and craft, games and pictures! Our Kayleeg/Ardzveeg scouting group is open to all children ages 6-10. Meetings are held every other Sunday from 10am-12pm, with the first one being on February 24th at our Serramonte Agoump. Contact SF Homenetmen Scouts for more details or if you have any questions. We hope to see you at our next meeting and join in the fun!